Democratic vice presidential candidate, Tim Kaine, poses with Patricio Moreno, Chairman of Democratic Hispanic Caucus of Florida, before a meeting with Florida mayors at Southwest Focal Point Senior Center in Pembroke Pines. Several dozen South Florida mayors and elected officials were invited to meet Tim Kaine at a Southwest Focal Point Senior Center in Pembroke Pines. 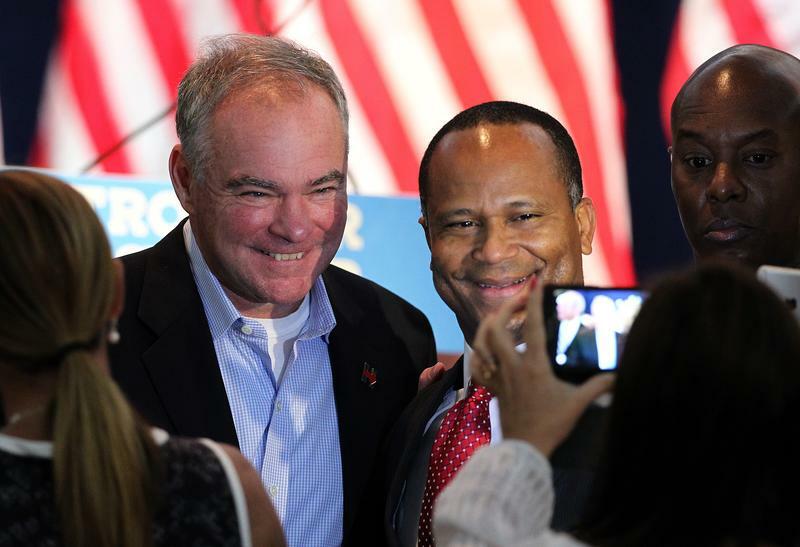 As a former city council member and mayor himself, Kaine said he felt close to them. Then the Democrat’s Vice President Candidate lashed out at Donald Trump. He also addressed sea level rise and other issues of climate change - a problem he said that also concerns his home state of Virginia. Kaine criticized how Governor Rick Scott dealt with the issue. Kaine stressed Florida’s importance as swing state and called on those present to volunteer and help the campaign. In the audience was Judy Paul, Mayor of Davie. She was excited by Kaine’s promise that Hillary Clinton’s and his policy would focus on those questions that matter locally. “Does it make a neighborhood safer, where somebody lives? Does it make a community more economical vibrant? How does it affect a classroom, and a child and a teacher in that classroom? That’s the test, and you know that”, he said. Kaine stressed Florida’s importance as swing state and said he and Hillary Clinton would spend a lot of time here in campaigning.